In the tradition of Shel Silverstein’s The Giving Tree, a generous giraffe gives away all of his apples to his hungry friends in this winning picture book that begs to be read aloud. Poor starry giraffe: every time he reaches for a yummy red apple from a tall tree, one of his hungry friends comes along and the generous giraffe shares the treat. Just when you think he has nothing left to eat for himself, a turn of the page shows otherwise: the starry giraffe is at an apple orchard and there are apples and trees galore! 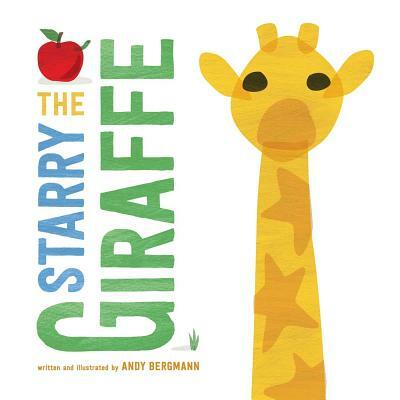 A disarmingly delightful debut picture book from Andrew Bergmann, an accomplished New York based artist and storyteller, The Starry Giraffe puts a surprising twist on a classic story. Andrew Bergmann is an accomplished New York based artist and storyteller. His work has been featured in The Washington Post, USA TODAY, and FastCompany and on CNN and NPR. Andy founded the Armadillo Puppet Theater in Quetzaltenango, Guatemala, which has now been entertaining and educating children in Central American orphanages, hospitals, and rural areas for almost two decades.